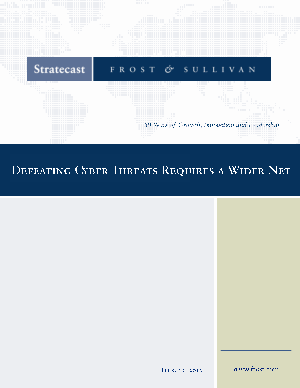 This Frost & Sullivan white paper identifies what organizations need to know to protect their intellectual property and prepare for unexpected data breaches. Cyber threats continue to mutate and grow in volume. Elevating protection against cyber threats requires a wide aperture of data — a cross-carrier view is essential. Arbor Networks with its Active Threat Level Analysis System (ATLAS) is posed to assist carriers, cloud providers, hosting companies, and network-dependent enterprises in improving their ability to protect themselves, their business operations, and their customers.